The hour is critical. The American republic is suffering its gravest crisis since the Civil War.Conflicts, hostility, and incivility now threaten to tear the country apart. Competing visions have led to a dangerous moment of cultural self-destruction. This is no longer politics as usual, but an era of political warfare where our enemies are not foreign adversaries, but our fellow citizens. In the tradition of Alexis de Tocqueville, Guinness provides a visitor’s careful observation of the American experiment. Discover here a stirring vision for faithful citizenship and renewed responsibility, not only for the nation but also for the watching world. It will be a tragedy of inestimable proportions for the American people if that great nation eats its own legendary commitment to freedom from within. Equally, to lose the leadership of the world's most powerful champion of liberty would be truly dangerous for non-Americans everywhere in these increasingly unsettled times. Os Guinness has gifted us magnificently with the insights and understanding of a lifetime in this book, which really needs to be read—urgently—across the length and breadth of the world. Os Guinness has stood as a beacon of eloquence and insight. In a host of important books, he has chronicled the struggle of those who resist the modern world's descent into carnival culture. 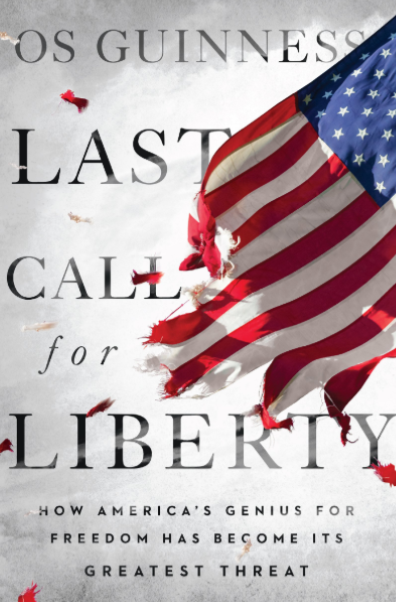 Last Call for Liberty is his masterwork—an urgent guide that leads out of the maze America has wandered into. For those who seek to understand the best of freedom's vital gifts, Guinness is the master class leader. A timely and important book from one of the most insightful observers of American society and politics. Guinness argues that America's future depends on learning the right lessons from America's past. Provocative without being incendiary. Sobering without being gloomy. Inspiring without being glib. 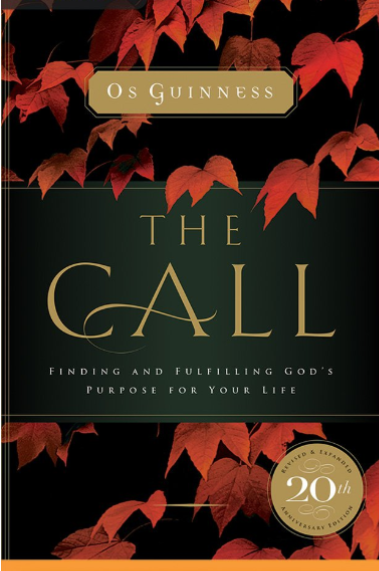 Expanded with four additional chapters, in this new 20th Anniversary Edition, The Call continues to stand as a classic, reflective work on life’s purpose. Best-selling author Os Guinness goes beyond our surface understanding of God’s call and addresses the fact that God has a specific calling for our individual lives. Why am I here? What is God’s call in my life? How do I fit God’s call with my own individuality? How should God’s calling affect my career, my plans for the future, my concepts of success? Guinness now helps the reader discover answers to these questions, and more, through a corresponding workbook – perfect for individual or group study. According to Guinness, “No idea short of God’s call can ground and fulfill the truest human desire for purpose and fulfillment.” With tens of thousands of readers to date, The Call is for all who desire a purposeful, intentional life of faith. Nothing is more daring in the American experiment than the founders’ belief that the American republic could remain free forever. But how was this to be done, and are Americans doing it today? It is not enough for freedom to be won. It must also be sustained. 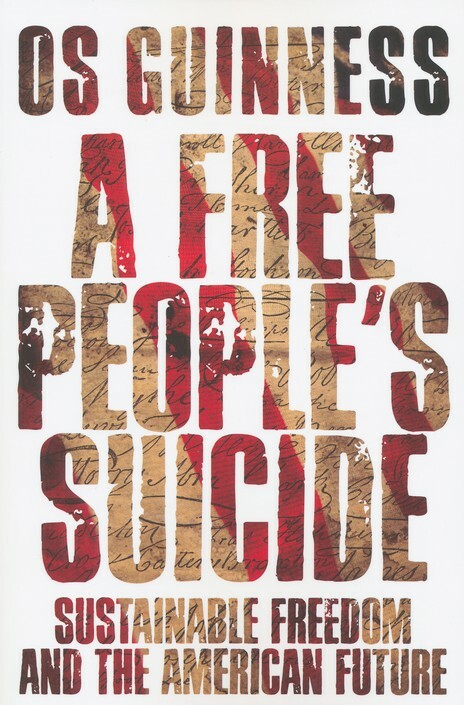 Cultural observer Os Guinness argues that the American experiment in freedom is at risk. Summoning historical evidence on how democracies evolve, Guinness shows that contemporary views of freedom–most typically, a negative freedom from constraint– are unsustainable because they undermine the conditions necessary for freedom to thrive. He calls us to reconsider the audacity of sustainable freedom and what it would take to restore it. “In the end,” Guinness writes, “the ultimate threat to the American republic will be Americans. The problem is not wolves at the door but termites in the floor.” The future of the republic depends on whether Americans will rise to the challenge of living up to America’s unfulfilled potential for freedom, both for itself and for the world. Sometimes a book is so important and so timely that not to have read it is to embarrass oneself. This is such a book. Its message is so crucial and so clear that all Americans are obligated to read it and have a national conversation on its themes. No cultural commentator or politician who has not read this book should ever be taken seriously again. Let this book be the new litmus test. If you are serious about America, be familiar with its themes and expect to discuss them and to be tested on them. Rest assured that you will be, because America is now herself being tested on them. Alas, we will not be graded on a curve. This book's clarion call is both piercing and full of hope. May God help us to hear it and to take action. How do we live with our deepest differences? In a world torn by religious conflict, the threats to human dignity are terrifyingly real. Some societies face harsh government repression and brutal sectarian violence, while others are divided by bitter conflicts over religion’s place in public life. Is there any hope for living together peacefully? Os Guinness argues that the way forward for the world lies in promoting freedom of religion and belief for people of all faiths and none. He sets out a vision of a civil and cosmopolitan global public square, and how it can be established by championing the freedom of the soul―the inviolable freedom of thought, conscience and religion. In particular he calls for leadership that has the courage to act on behalf of the common good. Far from utopian, this constructive vision charts a course for the future of the world. Soul freedom is not only a shining ideal but a dire necessity and an eminently practical solution to the predicaments of our time. We can indeed maximize freedom and justice and learn to negotiate deep differences in public life. For a world desperate for hope at a critical juncture of human history, here is a way forward, for the good of all. One of the foremost religious-liberty thinkers of our time, Os Guinness sets a soaring goal for this book: establishing a vision of religious freedom ('soul freedom') that accommodates competing truth claims about who man is and why he exists, guarantees freedom and justice, and builds stability amidst a fragile world order. Guinness succeeds magnificently. This book should be required reading for the secularist and the theocrat alike. Its Global Charter of Conscience is a blueprint for all the peoples of the world―both in the West and beyond―struggling to achieve for themselves just and lasting regimes of ordered liberty. For a generation now, Os Guinness has stood as one of our most consistently prophetic voices. In this latest book he returns to a lifelong concern: the precarious status of religious liberty in a fractured world. Drawing on a breadth of insights from history, philosophy, sociology and theology, Guinness makes a compelling case for the primacy of 'soul freedom' as the only enduring foundation for securing peace and human flourishing in our fractious era of unprecedented pluralism. And he does so in his inimitable way, with passion, eloquence and civility. It is a challenging yet ultimately hopeful message that demands to be heard, and to be acted upon. This is a closely reasoned and eloquent defense of religious freedom (Guinness calls it 'soul freedom,' because it refers to the rights of secularists as well as people of faith). This is not just one right among many, but a fundamental right rooted in the dignity of every human being. But it is also a right essential to the maintenance of a public space in which people with widely diverse worldviews can live together with civility. 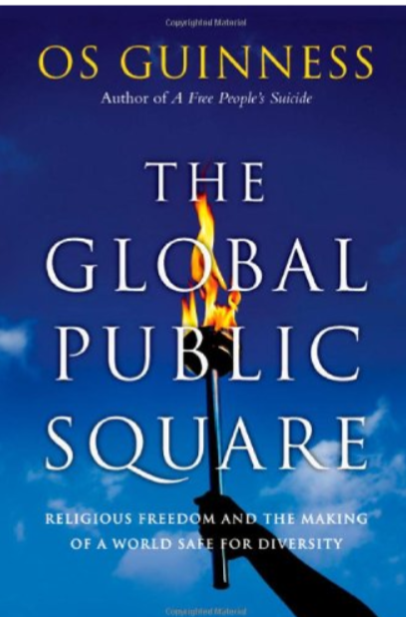 This is a book that should be read by everyone concerned with freedom of conscience, not only in the face of murderous persecution as still exists in many places, but also with the more subtle threats by political orthodoxies in Western democracies. A ‘must read’ for anyone who wishes to explore the most fundamental questions confronting us all. We are still surprised by evil. From Auschwitz to the events of September 11, we have been shocked into recognizing the startling capacity for evil within the human heart. We now know 9/11 revealed that our country was unprepared in terms of national security, but it also showed we were intellectually and morally unprepared to deal with such a barbaric act. Our language to describe evil and our ethical will to resist it have grown uncertain and confused. Many who speak unabashedly of evil are dismissed as simplistic, old–fashioned, and out of tune with the realities of modern life. Yet we must have some kind of language to help us understand the pain and suffering at the heart of human experience. Author and speaker Os Guinness confronts our inability to understand evil – let alone respond to it effectively – by providing both a lexicon and a strategy for finding a way forward. Since 9/11, much public discussion has centered on the destructiveness of extremist religion. Guinness provocatively argues that this is far from an accurate picture and too easy an explanation. In this expansive exploration of both the causes of modern evil and solutions for the future, he faces our tragic recent past and our disturbing present with courageous honesty. In order to live an “examined life,” Guinness writes, we must come to terms with our beliefs regarding evil and ultimately join the fight against it. 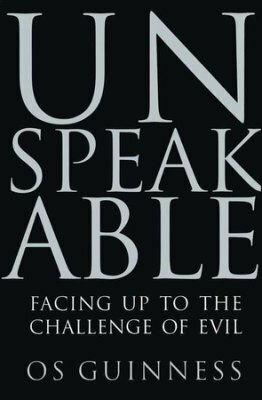 Addressing individuals as well as a traumatized culture, Unspeakable is an invitation to explore the challenge of contemporary evil, a call to confront our culture of fear, and a journey to find words to come to terms with the unspeakable so that it will no longer leave us mute. Guinness offers a brilliant ‘map’ to help us navigate and confront the difficult landscape of modern life, and modern evil. Rome J. Hartman, producer, CBS News "60 Minutes"
In a world torn apart by religious extremism on the one side and a strident secularism on the other, no question is more urgent than how we live with our deepest differences—especially our religious and ideological differences. 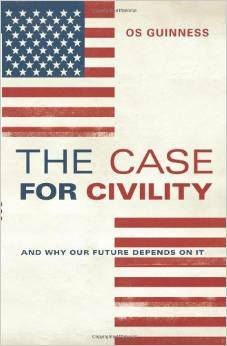 The Case for Civility is a convincing and timely proposal for restoring civility in America. Popular evangelical writer Guinness (The Call) worries that the culture wars are destroying the United States. If Americans don't find a way of living with our deepest differences, the republic will decline. He forcefully defends religious liberty, noting that it was crucial for the founding generation and should be just as crucial today. To that end, he calls Christians to rethink their enthusiasm for government-sponsored faith-based initiatives, and to remember that evangelicals were the victims of earlier church-state establishments. The religious right—whose discourse of victimization, says Guinness, is silly and anti-Christian—comes under fire. Nor is Guinness a fan of the nascent religious left—he prefers a depoliticized faith. For all Guinness's rhetorical vim, his proposals ultimately feel anodyne: his boilerplate conclusion is that in order to restore civility we need leadership and a remarkable articulation of vision. Furthermore, although Guinness notes that he is a European, the book is oddly marked by the old rhetoric of American cultural imperialism. Echoing JFK, Guinness wants his essay to be taken as one model for fostering civility around the world and helping make the world safe for diversity. 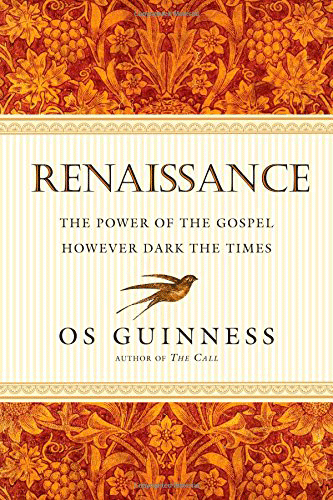 In Renaissance, Os Guinness declares no. Throughout history, the Christian faith has transformed entire cultures and civilizations, building cathedrals and universities, proclaiming God’s goodness, beauty and truth through art and literature, science and medicine. The Christian faith may similarly change the world again today. The church can be revived to become a renewing power in our society—if we answer the call to a new Christian renaissance that challenges darkness with the hope of Christian faith. For decades Os Guinness has been one of the most nuanced, realistic, yet hopeful voices calling Christians to engagement with culture. This latest volume from him should not be missed by anyone. Os summarizes some of the most helpful recent discussions, updates many of his own lifelong challenges to the church and provides many fresh insights. Highly recommended. The church in the West is at a critical moment. While the gospel is exploding throughout the global south, Western civilization faces militant assaults from aggressive secularism and radical Islam. Will the church resist the seductive shaping power of advanced modernity? More than ever, Christians must resist the negative cultural forces of our day with fortitude and winsomeness. What is needed is followers of Christ who are willing to face reality without flinching and respond with a faithfulness that is unwavering. Os Guinness describes these Christians as “impossible people,” those who have “hearts that can melt with compassion, but with faces like flint and backbones of steel who are unmanipulable, unbribable, undeterrable and unclubbable, without ever losing the gentleness, the mercy, the grace and the compassion of our Lord.” Few accounts of the challenge of today are more realistic, and few calls to Christian courage are more timely, resolute―and hopeful. Guinness argues that we must engage secularism and atheism in new ways, confronting competing ideas with discernment and fresh articulation of the faith. 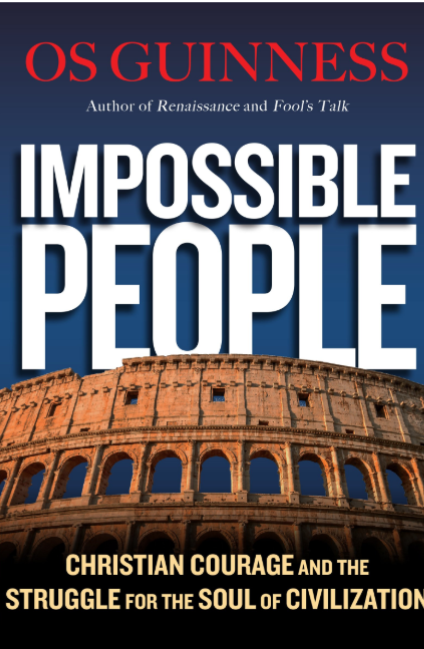 Christians are called to be impossible people, full of courage and mercy in challenging times. Every time I sit down to read the prophetic words of Os Guinness, I feel my spine strengthen and my mind perk up. His clear writing and earned wisdom bring both courage and uncertainty; for while we can't predict where our culture will head, we can rely on the truth that guides and emboldens every generation to meet the moment for which we've been called. Os Guinness is a prophet. Hear him. In our post-Christian context, public life has become markedly more secular and private life infinitely more diverse. Yet many Christians still rely on cookie-cutter approaches to evangelism and apologetics. Most of these methods assume that people are open, interested and needy for spiritual insight when increasingly most people are not. Our urgent need, then, is the capacity to persuade—to make a convincing case for the gospel to people who are not interested in it. 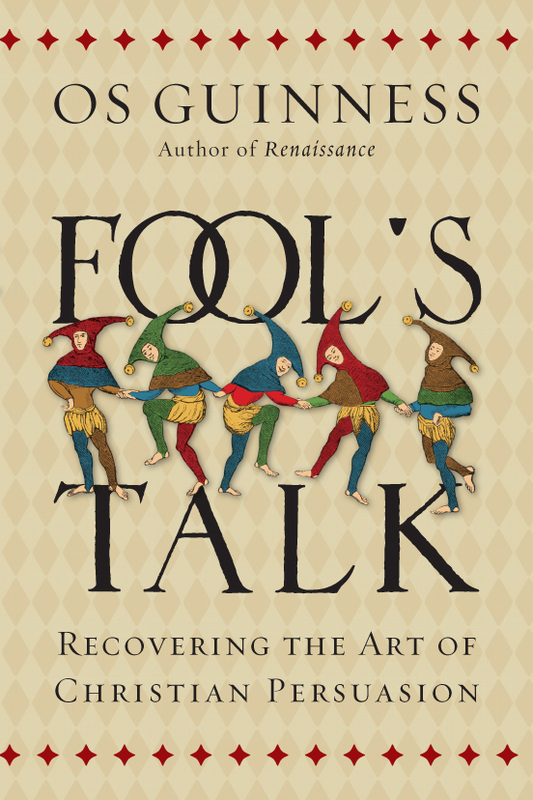 Following the tradition of Erasmus, Pascal, G. K. Chesterton, C. S. Lewis, Malcolm Muggeridge and Peter Berger, Guinness demonstrates how apologetic persuasion requires both the rational and the imaginative. Persuasion is subversive, turning the tables on listeners’ assumptions to surprise them with signals of transcendence and the credibility of the gospel. This book is the fruit of forty years of thinking, honed in countless talks and discussions at many of the leading universities and intellectual centers of the world. Discover afresh the persuasive power of Christian witness from one of the leading apologists and thinkers of our era. In a battle of ideas, unlike a battle between nations, the goal is not to vanquish the opponents but to win them. Making that challenge even more difficult is that oftentimes, what we win them with is what we win them to. The art and science of dialoguing and debate must bring together the message and the method in concert. No one does this better than my colleague Os Guinness. For years I have benefited from his incisive thinking and carefully studied presentations. Here, he wisely observes that 'Our urgent need today is to reunite evangelism and apologetics, and make sure that our best arguments are directed toward winning people and not just winning arguments.' I am thrilled to see his unique thinking on these crucial subjects, co-extensive with a lifetime of doing apologetics. It is a must-read for anyone interested in engaging the skeptic or seeker. Few thinkers today rise to the level that Os does, even as he plumbs the depth of vital issues in defense of the historic Christian faith. If Twain and Chesterton were writers who marshaled wit and paradox in commending wisdom, Guinness richly mines many a classic vein of wisdom, and wit, to help Christians in our time discern what it means to be winsome, and compelling, in commending faith. . . . How can we speak for our Lord in a manner that does justice to the wonder of who God is, to the profundity of the good news He has entrusted to us, to the wily stubbornness of the human heart and mind, as well as to the wide-ranging challenges of today's world and the mind-boggling prospects of tomorrow's? In short, how can we as followers of Jesus be as truly persuasive as we desire to be? These are questions worth asking―and seeking answers, readers can do no better than turn the pages of this book. For over forty years, Dr. Guinness has crafted learned, witty, and compelling books. This book may be his finest―one rich in simile, parable, and insight.